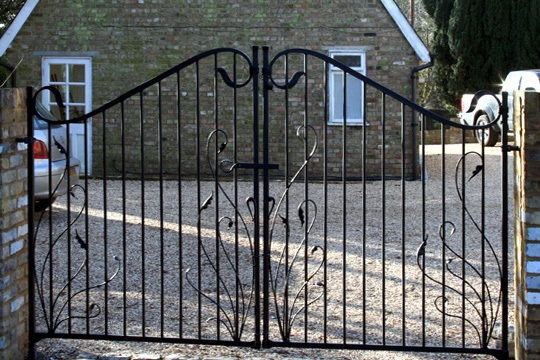 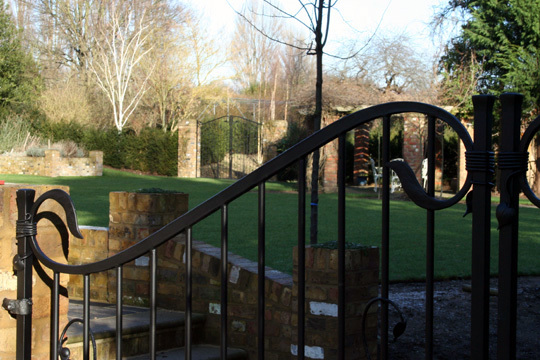 These bespoke, elegant and understated wrought iron gates have a contemporary design but were made using traditional blacksmithing techniques. 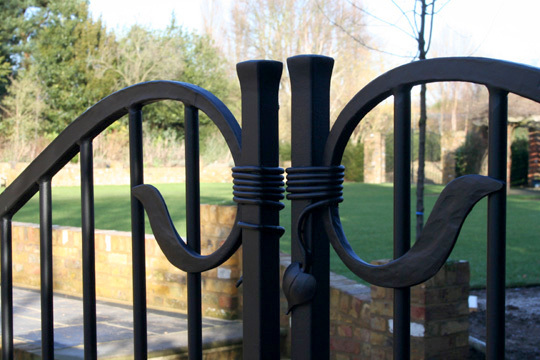 The gates are rich with hand forged detailing such as the stylised leaves, the graceful curving lines of gate's profile and the gates' latch. 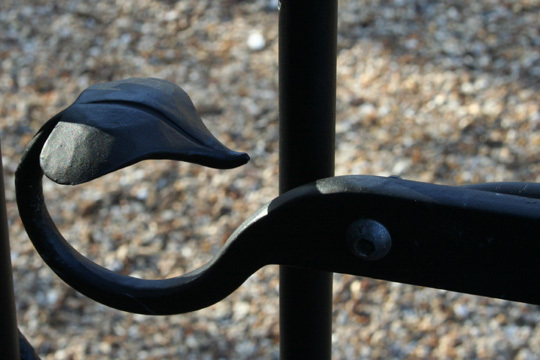 We pay particular attention to latches; they are the first point of contact with our metalwork and should both look and feel special. 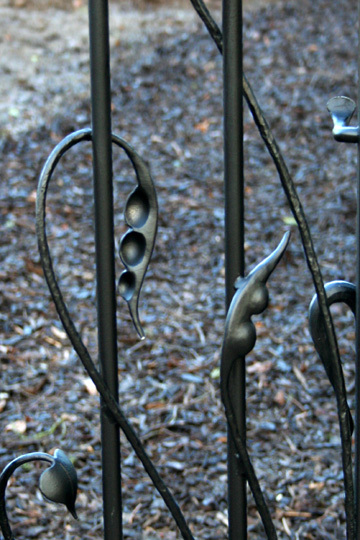 More information about how the leaves were forged is available here. 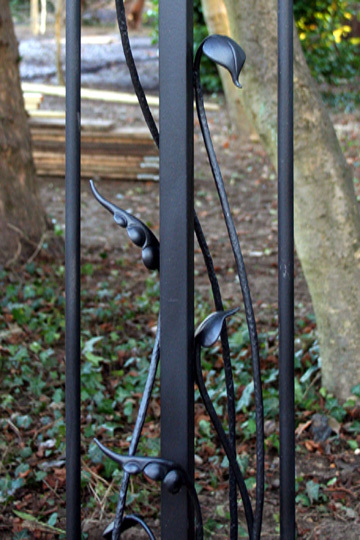 The owners of these gates also commissioned these railings to complement the gates.